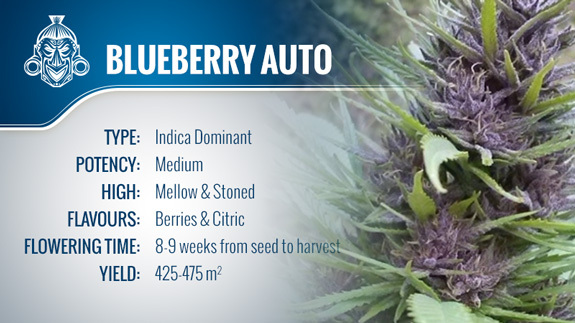 Classic Blueberry has been a top pick for decades, and now Blueberry Automatic promises to deliver all that fruity goodness in just 8 to 9 weeks from seed. Let's see if she lives up to that claim. The Original Blueberry, bred by the legendary DJ Short back in the late 1970s, is pretty hard to beat. She's very hardy, fairly easy to grow and usually turns blue and purple as she matures. This strain doesn't just look like a Blueberry, she tastes and smells like fresh berries, too. And, she has a chill Indica-dominant stone that's a true joy for both recreational and medicinal users. Follow along as we find out if Blueberry Auto can match her famous mother in way less time. We planted our Blueberry Automatic seeds directly in their final pots using a mixture of peat, perlite and a little sweet lime to start, then placed them under the lights. For this run, we went with a 600 watt HPS, 20 hours on, 4 hours off. The seeds germinated quickly with cotyledons showing above the surface within days soon followed by the first pair of true leaves. Pistils started to show at about the third week, and our plants reached their final height of about 70 cm just after the fourth week. We ended up with short plants with large-ish central colas and some nice smaller buds on the side branches. They were denser than we expected, but not quite as tight as the photoperiod version. Still, the bud quality was very high with a nice amount of resin. Any lower fluff will be a welcome addition to the extract bin. In the end, we didn't cut our Blueberry Automatic plants until close to the 10-week point to check for any last-minute swell, but there was little change in either bud size or density during this time with the exception of slightly more amber in the trichomes. Once cut, dried and cured, we ended up with 30 to 50 grams per plant, but we may have been able to push those numbers a little higher with a better nutrient program. All Auto Blueberries are notorious for nutrient burn even when fed lightly, so we didn't give them much to eat. Our Blueberry Automatic stayed green with only hints of blue well into the sixth week, so we dropped the temps a little and started to see more blues and purples on both the blooms and the fan leaves. We didn't get the deeper tones that we hoped for, but the colours intensified quite a bit during the cure. Overall, we were happy with the final look and feel of our dried buds. Have you ever smoked a joint and had someone ask what strain it was simply because the smell was so good? That's what Blueberry Automatic is like. On the plant, the aroma is a fresh mix of sweet berries with slight hints of lemon, but the tempting fragrance deepens as it matures with very little pungency or Skunkiness. It doesn't fill the room as much as it drifts around to tantalize and tease anyone who's foolish enough to take a pass on this fine herb. The flavour is equally good with a sweet but mild blueberry quality and subtle hints of grapes and flowers. The smoke itself is very smooth, slipping across the palate like silk with little if any throat burn. Even some of the less frequent smokers in our group managed to enjoy this herb without coughing. If you end up with harsh buds from Blueberry Automatic, you should rethink your drying and curing habits. Blueberry Automatic is Indica dominant, and the effects are true to that genetic profile. She's not quite a couchlocker, but you will get a nice, chill body stone that starts off with mild numbness across your face and the top of your head before it slowly creeps all the way down to your toes. 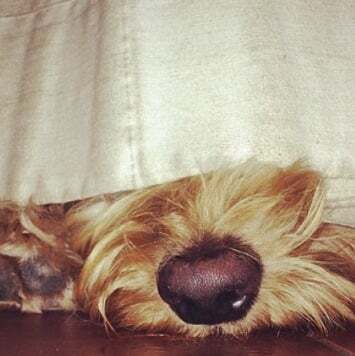 Mentally, you'll feel pretty mellow and at ease with absolutely no anxiety. Although we don't think she was quite as strong as some of the regular Blueberry smoke we've enjoyed in the past, the power is still clearly evident. Only frequent smokers with high tolerance levels should use this for daytime smoke; everyone else should reserve it for their off hours. To wrap it up, we really enjoyed both growing and smoking Blueberry Automatic. She was just as fast and easy as we were led to believe, giving us no problems in the grow room. Her colours and aromas were pleasant to start, and only intensified during the cure. She wasn't quite as dense or strong as the photoperiod Blueberry, but that was to be expected and not a bad tradeoff for shaving two to three months off the overall time required to bring these plants to harvest. Overall, we'd definitely grow this one again and would recommend it to anyone looking for a fast, reliable autoflowering hybrid.